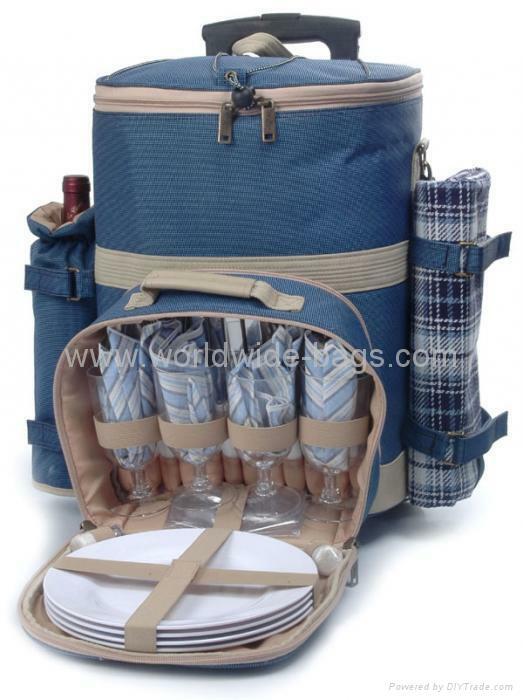 600D polyester picnic cooler with trolley design deluxe service for 4. With a detachable foil liner wine bottle bag and a waterproof blanket. A spacious insulated section for storage a great deal of food.